Clearly one of the greatest blessings a missionary can have in his life and work is a spiritually strong home church/sending church, along with a network of strong supporting churches. The strength or weakness of each local church’s missionary program, its missionary support, and its missionary outreach will depend, more than any other one element, on the mission-mindedness of its pastor. In a church with a larger pastoral staff, the weight of this may fall on the shoulders of the “missions pastor.” This pastor should possess the character traits or habits that follow. 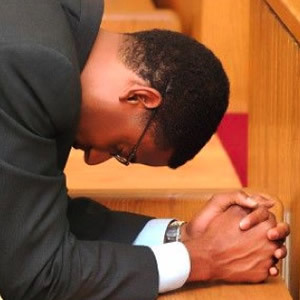 The pastor must love God supremely and desire to see God use his consecrated life in a maximum way for the Lord’s glory. The “un-worldliness” here is not to say that he is unwise as to the world’s needs, as we will examine a bit later, but is rather an un-worldliness as discussed in 1 John 2:15-17. The pastor’s passion for godliness and personal holiness will be the prerequisite to any other quality listed. The Holy Spirit will neither fill nor use a dirty vessel! This, along with the next trait, will most ensure the blessing of God on the pastor’s ministry and the church’s impact—both locally and worldwide. This pastor will teach the whole counsel of the Word without apology—challenging the people to take consistent spiritual steps. The congregation will come to expect change in their hearts and lives each time the Word is preached and any time they are exposed to it—having been taught to do so by the pastor’s content and personal example! His faithful preaching will result in growth, both numeric (though this is not the best measure), and in depth and maturity. A church that is not growing at home will be crippled in its efforts to support missions and missionaries. The pastor will regularly preach on the great missionary texts (e.g. Isaiah 54:1-3; Acts 8:26-39; Acts 10; Acts 13; Acts 16:6-15; Acts 17; and many, many others), challenging the church to even greater missionary involvement. This is developed in the pastor’s life through extensive study motivated by a keen and genuine interest. Not only does he regularly read missionary biographies, but he will increasingly develop an understanding of geographic regions and countries of greatest fertility or need, along with their related challenges—for example, the 10/40 window. He should probably be the first one to memorize what countries and missionaries are represented by the missionary flags hanging in the auditorium. He will do all he can to keep the needs of the missionary WORLD before himself, and in front of the congregation, including the regular reading and posting of missionary letters, phone calls to fields as part of services (Skype very useful here), reading missionary agency publications, and consistent efforts to get the missionaries visiting the church into the members’ homes. 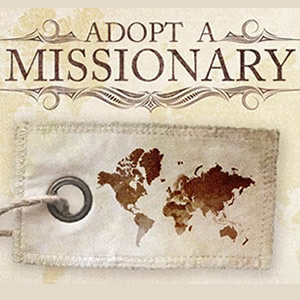 This “missionary awareness” can be significantly nurtured by regular trips to visit missionaries on their fields to encourage them and participate in their work. A missions-minded pastor will develop a mindset of mentoring and discipleship— aimed at the consistent ministry involvement and spiritual growth of serving families. He will consistently ask God to give the church the privilege of reproducing what is happening on the home front elsewhere! As God answers this prayer and church objective, the pastor will actively steer prepared believers toward consideration of cross-cultural ministry. The local church’s leadership will then make recommendations to mission agencies of couples and singles “fit” for missionary service, as has been demonstrated in their hearts and home, and manifested in their faithful and fruitful service in that local church! Yes, this is clearly not the norm, but this is the way it should happen! Some churches seem to “produce” missionaries more than most. Why? More than any other reason, this is because of the pastor’s heart and determination to do so! Investment returns! It will not be enough for the missions-minded pastor for the church to simply support missionaries, but she must be reproducing herself at home as well. The particle of addition “both” in Acts 1:8 means that emphasis must be on each of the geographic areas simultaneously – “Jerusalem . . . and Judea . . . and Samaria . . . and the uttermost part of the earth.” The pastor understands that more churches being planted in the homeland (as Dr. David Cummins noted—a “re-seeding” of America) will result in a stronger and broader base of financial support of foreign ministries while reaching the lost in the United States. This pastor will not be threatened by the joy of sending a nucleus of believers and even some of the leadership into a neighboring area to start a “daughter work,” when the personnel allows for such and the need demands it. How desperately this is needed in a day of too many shattered lives in the ministry. 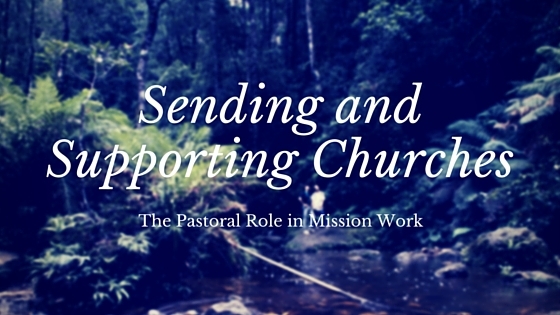 The ideal missions-minded pastor should maintain regular personal communication with the church’s missionaries, both on the field and during furloughs. This does not need to be extensive, but it should be consistent and must be genuinely caring. The “track record” for this is extremely poor. Further, he should regularly check (directly and/or through the missionary agency) to ensure that the missionary is actively evangelizing and seeing folks saved (without an undue emphasis on numbers), that he has an organized plan (that is being faithfully executed) for discipleship, and that he has a program (either solo or with another missionary or agency) for the formal theological training of national pastor(s)—in short, that the missionary is involved in the planting of New Testament local churches. The pastor will further maintain accountability with the missionary regarding the missionary’s personal life and spiritual growth, while possibly inviting the missionary to serve the pastor’s accountability need as well. The pastor’s ministries of teaching, discipleship and encouragement should continue in the missionary family’s life. He determines to know them by name (including the children J), love them personally, pray for them specifically in an informed manner, and shepherd their lives, seeing this ministry to be no less critical because of mere geographics. Sign up for prayer letters/email updates/prayer cards, etc. Have missionaries in your home whenever possible. Talk about missions and missionaries with your kids! Read missionary biographies as a family. Foster strong relationships between your kids and the MKs. Serve as a family, while asking God to use you in greater ways, including the possibility of actually becoming missionaries!! This article written by Steve Anderson, Baptist World Mission field administrator.